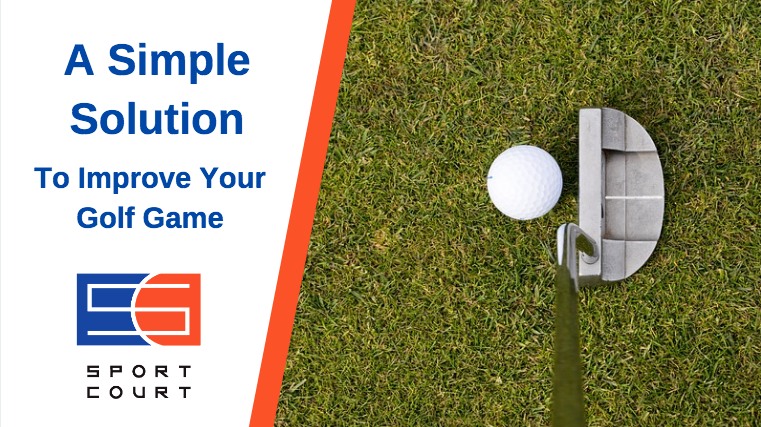 Working on your putting game might be the most important part of becoming a great golfer. If you recall any television show or movie from the 1980s involving big business, you’d likely find a cliche boss in his big office practicing putting on a turf green into a cup. That’s one way to work on your golf game, but it’s probably not the best. Another way is to install an actual putting green in your backyard. This will teach you how to properly strike the ball with a putter and get the ball in the hole consistently. You’ll be more focused than you would at the office, you won’t need to make a tee time at the country club, and you’ll have more time to dedicate to your game. Plus, you’ll get more work done during the day. Golf.com has a great article teaching golfers to read the green. Americangolf.com lists and demonstrated three putting drills that any golfer should know. The PGA has a step-by-step guide to help you become a better putter. Sport Court North has customized greens that can fit your yard on your budget while fitting your preferences. The best place to put these tips into practice isn’t at the office or even at your favorite golf course, it’s right in the comfort and convenience of your own backyard. At Sport Court Wisconsin and Sport Court North, our putting greens feature Natural Break Technology with nylon fibers that replicate tour quality greens. Our Natural Break Technology allows for the most amazing, natural ball travel a synthetic green can provide. The fibers suspend the ball like natural turf for optimum speed and roll. This results with a true break on every stroke. The accuracy you can develop on a Sport Court putting green will easily transfer onto the greens of your favorite courses. Contact Sport Court at 1-888-925-4667 to learn more about our putting greens.